Among the most commented-on stories on RBTH.com this week were the commemorations of two major historical events and a celebration of summers past. The first week of June was filled with anniversaries, from the 25th anniversary of the crackdown on Tiananmen Square on Tuesday to the 70th anniversary of D-Day on Friday. RBTH managed to find a Russian angle on both of those events with stories that generated a great deal of discussion among our readers. In an op-ed on Tiananmen, Vladimir Petrovsky called the event the juncture at which Russia and China’s parallel trajectories diverged. Petrovsky writes: “in 1989 China made its historical choice in favor of continued market economy reforms and preservation of the one-party system in order to maintain political stability and prevent a breakup of the country.” The Soviet Union under Premier Mikhail Gorbachev made a completely opposite decision. Those of us who watched the events of Tiananmen unfold from the United States may not have known that the crackdown happened during a visit of Gorbachev to China. According to Petrovsky, the students massing in the square wanted Gorbachev – the architect of glasnost and perestroika – to address them. Instead, the government instigated its crackdown. Was it to show Gorbachev what they thought of his policies of more openness? It seems clear that the consequences of Tiananmen and its aftermath will be debated for a long time to come. 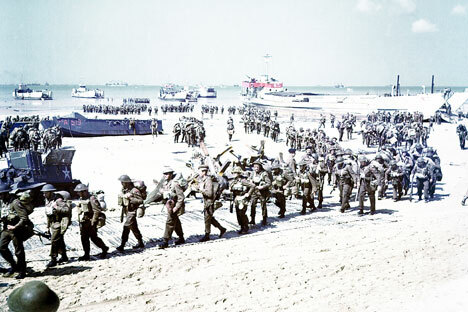 One even that would have seemed unlikely to generate much debate was the anniversary of D-Day. However, as with nearly all topics involving World War II, our stories on D-Day commemorations generated a large amount of traffic and discussion. Our UK-based editor wrote a text positing that the Soviet army, fighting on the Eastern Front, cleared the way for the Western forces to open up the Western Front on D-Day. Not all of our readers agreed. One thing that is worth remembering in light of such comments is that history is taught very differently in different countries, and an appreciation for the sacrifices of people in both East and West is lacking in the way we talk about World War II. Finally, Moscow is experiencing a heat wave this week, breaking a 117-year-old temperature record on June 4 and it’s clear that summer has arrived. We asked some former Moscow expats about their favorite memories of summer in the Russian capital, when the days are long and everyone wants to flee the city. Do you have memories to share? Write to us at US@rbth.com or post on our Facebook page!